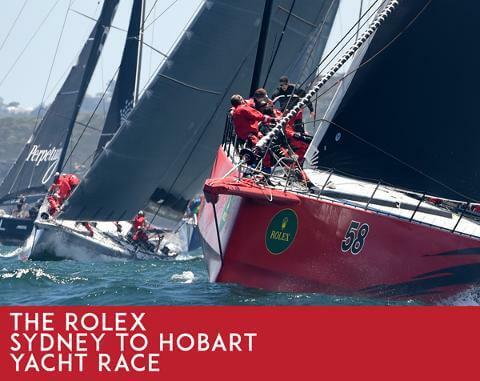 See some of the worlds top race boats on the start line, before they thunder down the east coast of Australia, to Hobart Victory, a battle of nerves, seamanship and courage. This event is an international yacht classic. One of the true, traditional blue water yacht races remaining, as ROLEX calls it, "The jewel on the crown of yacht racing"
An extensive and quality Canapé menu will be served onboard, and included in your ticket price, a welcome glass of sparkling and a full professional commentary onboard for 4 hours. Substantial Canapé Menu - Gluten free options available on request.